If this book taught me nothing else, it is that a demon’s tail can be used for much more than just an ornament. Claire went out for a relaxing evening with her roommate Sally and instead she found a lifetime worth of excitement and fear. Claire is someone that any woman can imagine themselves being. She is hard working, and just trying to survive the best way she knows how. Then Samael inserts himself into her life, and changes everything she knows and held close to her heart. 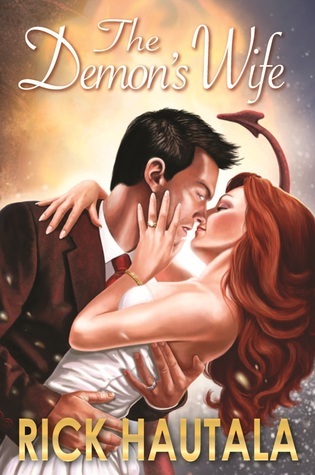 One aspect of the story I had a difficult time wrapping my mind around was Claire’s willingness to accept Samael into her life so easily as well as her easy acceptance of his being a demon. I understand the hero worship syndrome many woman experience and that was the only reasoning I could use to help me understand why it seems like Samael become the most important person or thing in Claire’s life overnight, even more than her longtime relationships such as with her roommate. While this I could at least somewhat understand, I just felt it was completely unbelievable she would except his being a demon so easily, especially because he doesn’t even try to explain or justify what he is. Claire seems to be a bright and intelligent woman who just would not be so easily accepting and manipulated. The added danger that Samael either directly or indirectly adds to Claire’s life was a large selling point for me. I enjoyed that she had to learn to question everything and everyone around her just because she chose to be with this man. Especially when she has to question reality. It added a air of danger and excitement that made me want to learn more, and wonder would she survive her love for Samael. The reading of this story was very easy and smooth, but sometimes I questioned whether it was for adults or young adults. Certainly, the sexual scenes in the story were for adult readers, but other areas seemed a bit juvenile, like when Claire walked home in the rain with an injury, just because she was disappointed. It made me questions how old Claire really was, because she came across fairly immature. I really enjoyed Samael’s transformation throughout the story. Part of what makes demons who they are is their inability to grow emotionally and deeply care for others. Samael does this in strides, which I found refreshing. He is clearly a different demon by the end of the story. I just could not get enough of his internal growth and would love to have learned more.